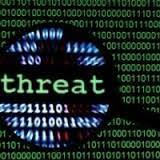 PC World reported a cyber espionage attack took place recently against Russia. The Russian Federal Security Service reported the malware attack impacted 20 different organizations, including military networks. Once the malware was installed, it downloaded additional modules to perform various tasks such as monitoring traffic, capturing and sending screenshots and keystroke logs, as well as recording audio and video using the computer’s microphone and webcam. Some may consider this ironic, since it has been suggested that Russia has been behind several major hacks, including one that took place last week during the Democratic National Convention. To avoid cyber espionage, we recommend ensuring all applications and operating systems are up-to-date. It is also recommended users implement application whitelisting technology to prevent any unwanted programs from executing. Lastly, it is important users are aware of the current cyber security threats and how to identify potential attacks; therefore cyber security training is encouraged for both home and business PC users. Newsletter, tips cyber espionage, Russians. permalink. The suggestion that Russia was behind the one that took place last week during the Democratic National Convention was generated by the Clinton campaign and parroted by the Media. The head of the NSA has said they do not know the source of the hack. Most accurate analysis I have seen so far it was done by an NSA employee from what they had already collected, in response to the decision by the FBI to not prosecute in spite of the evidence and the law. Thank you PC Matic !!! I feel as safe as possible with you watching my back. Thank you! !